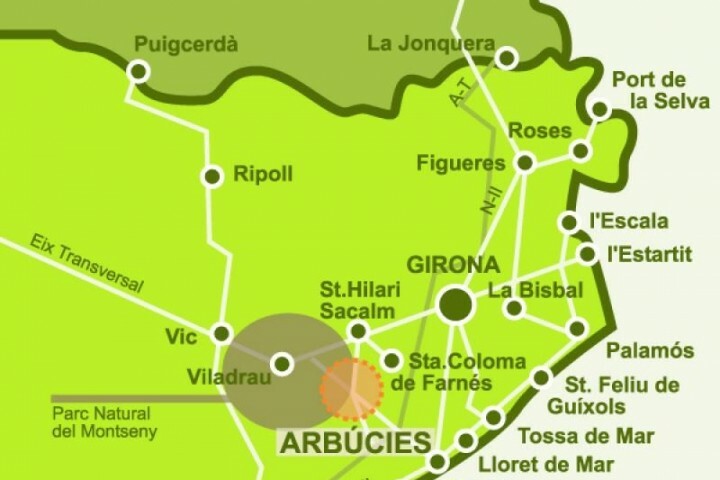 The Arbúcies Valley enjoys a privileged geographical location, it is located one hour from Barcelona and half an hour from Girona and the Costa Brava. Freeway: AP-7 from Barcelona to La Jonquera. Exit number 10 Hostalric. Continue on C-251 direction Sant Celoni and link with GI-552 until Arbúcies. 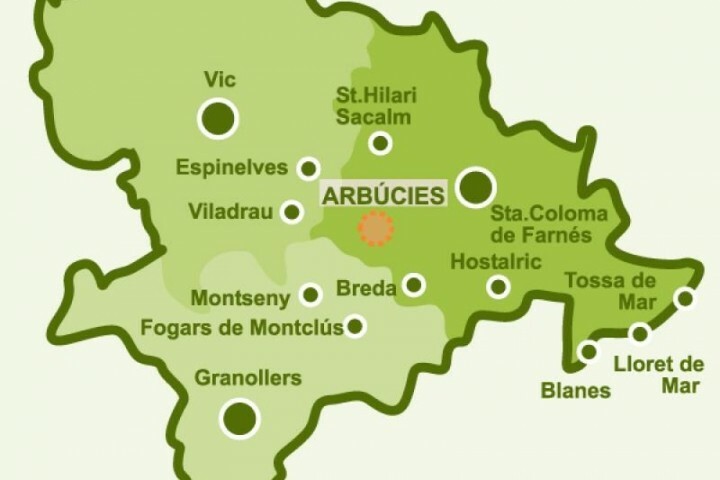 The Village of Arbúcies is situated in a landscape of gretat beauty, in the midle of Park natural Of Montseny et Guilleries, declarated zone protection os spaces of interesting natural.